Wallenbergs actions show a timeless courage, and continue to exert a powerful and enduring relevance to the world. 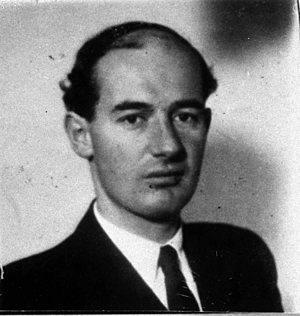 Americans are deeply grateful that Wallenberg said yes when the United States War Refugee Board approached him to go to Budapest to save the largest remaining concentration of Jews in Europe. Amid the many missteps in responding to the Holocaust, encouraging Wallenberg to go to Hungary was one that the United States did right. Wallenbergs actions show a timeless courage, and continue to exert a powerful and enduring relevance to the world. His actions embody the best of the democratic values. They also embody the courage of the individual, of the dissenter, of the independent moral conscience in a world full of wrongs, of the hero who sees injustice and takes action. It is worth noting that, while Wallenberg was trained as an architect, he left no building behind. Instead, Wallenberg left behind a legacy much more enduring than any physical structure. Today, the granddaughters and grandsons of those whom Wallenberg saved are building a better world as doctors and scientists, mothers and fathers, farmers, teachers, and legislators.